Immigration to Australia – Why hiring a trusted Visa Consultant has become Essential? Canada Immigration Process- How Essential is Selection of Right Visa Program? Who Can Apply for Denmark Green Card? What’s the Scheme? Canada is a wonderful country with an advanced economy, huge land area, and outstanding infrastructure. It has got all the ingredients to be the most favorite and top country of the world. This is the reason that every year, thousands of people travel to Canada with different ambitions and reasons, i.e. work, study, business, and leisure. If you are also planning to immigrate to this incredible nation, we shall update you about the key feature of Canada, with regard to its land, climate, and conditions. Canada is the second largest country in the world by area. Hence, you are promised to get the several wide open spaces, national parks, reserves, greenery, and landscape beauty. Canada has ocean on three sides of its borders, i.e. the Atlantic Ocean in the East, the Pacific in the West and Arctic in the north. Canada also shares the border with USA in the northwest and in the south as well. Canada is a home to diversified landscape beauty, i.e. various forests, high hills, lush green grasslands, the arctic tundra with frozen ground, and several lakes and rivers. The Canada enjoys four diverse seasons, i.e. spring, summer, autumn, and winter. Summer Season: Summer is on from the month of June to September and the summer days keep getting hot as the season proceeds. In summers, the temperature in the daytime ranges between 20 degrees to 30 degrees Celsius or even more than that. It can be quite humid in the southern Ontario and Quebec provinces. Spring and autumn: The spring and autumn in Canada are the changeover seasons. Hence, it converts the weather to become warmer or colder with the heavy rain. Winter: Winter as usual is very cold in most of the Canada, as the temperature most often goes below zero degrees Celsius. The snowfall is common in the months, December to April, which covers the grounds everywhere, except the British Columbia in Southwest, as the rain is more seen in this region in winters than snow. If you are immigrating to Canada from the relatively warmer place, you may get amazed to experience the snowfall and cold in the first winter. Hence, get prepared for the same and purchase the boots, hat, winter coat, and gloves and other warm clothes to face and enjoy the splendor and uniqueness of Canadian Winter. There are various aspects and internal things, which needs clear understanding before you actually submit Expression of Interest (EOI) in any of the immigration programs or apply for the Canadian Visa under a particular category on receipt of the invitation. In such a scenario, help and assistance from a reliable Visa Consultancy Services can prove immensely vital in understanding the complex immigration procedure, i.e. Federal benefits & Services, community services, etc. 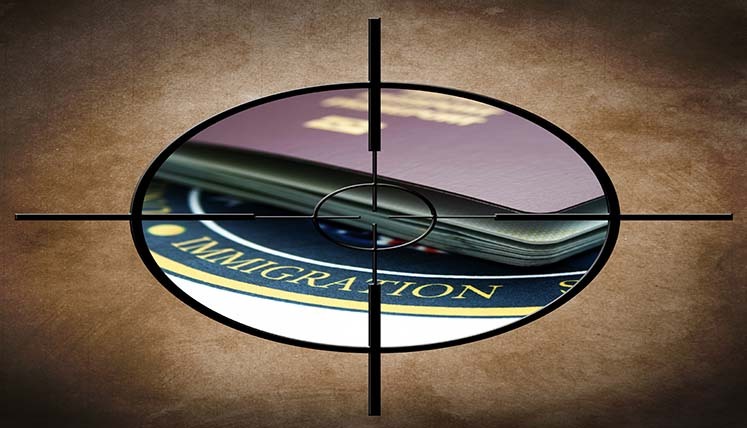 Visas Avenue is one of the leading Immigration Consultancy Services that has been guiding and assisting thousands of Immigration Applicants regarding immigration to hotspot immigration countries, i.e. Canada, Australia, USA, UK, New Zealand, South Africa, Germany, Hong Kong, etc. for the last few years. You may contact the Immigration Expert at Visas Avenue or can fill the free assessment form available on its website to get the vital help and assistance regarding filing a visa application under the most suitable category and getting a guaranteed approval well within time. What are the Legal Pathways to Move to Canada from India? What are the Key occupations to apply for Immigrating to Canada? Visas Avenue is primarily an immigration advisory company that offer consultation for world wide immigration options. Visas Avenue is not associated with any government authority or department of immigration and we don't deal in any type of job or job assistance services. Visas Avenue does not have any branches in Ludhiana and across Punjab. © 2019 - Immigration Consultants from India to Canada, Australia, Denmark. All Rights Reserved.